I can show you how to get a deal on a new car and negotiate the price of a new car. Read my quick-guide on how to get the best deal on a new car at a dealership. Now you can learn how to negotiate a new car purchase, too, with this proven resource guide. Getting a great deal on a new car at a dealership is probably easier than you think, but it does require the right resources and guidance to make the car buying process easy, comfortable and financially rewarding. If you use the resources and approaches outlined below, you can turn buying a new car into the pleasurable experience that it should be! If you could use some help when it comes to negotiating the best price for a new car, I’ll show you how to get the best deal on a new car at a dealership. 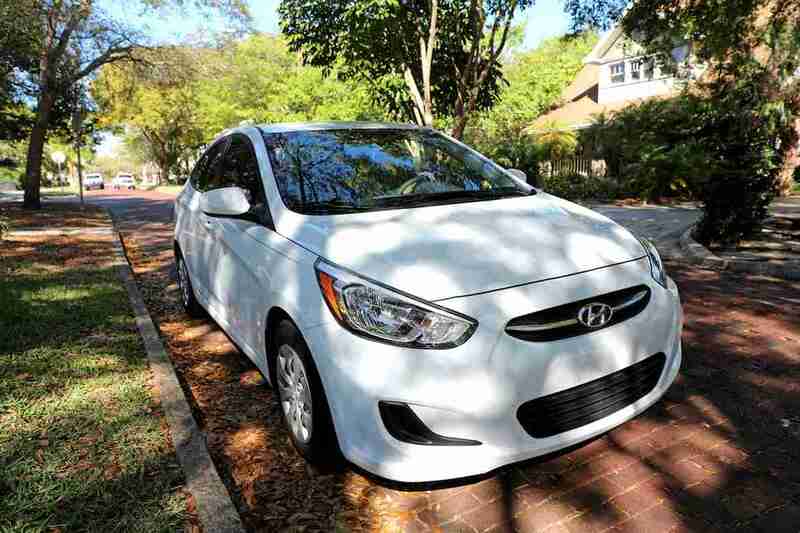 This article lays the foundation for which getting a great deal on a new car depends. You’ll get tips and insights for negotiating the best deal on your next new car. 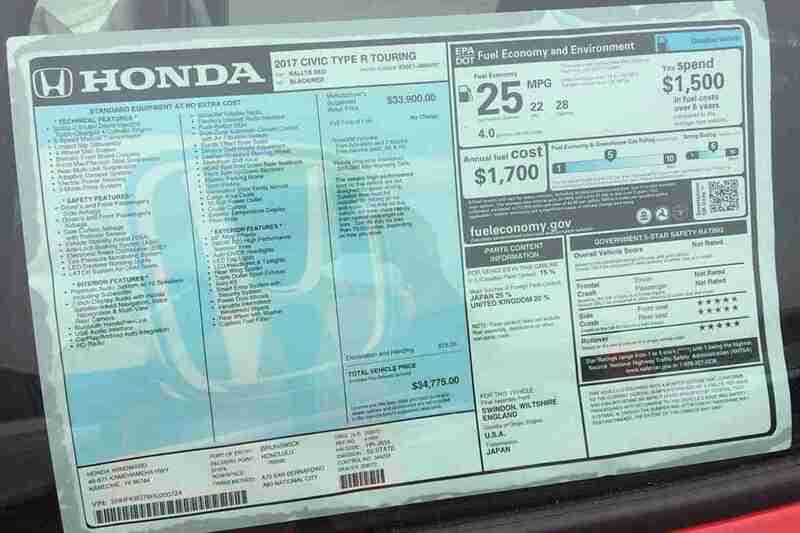 To get started, let’s talk about MSRP (manufacturer suggested retail price), window sticker and dealer invoice. If you’re in the market for a new car, truck or SUV, then you need to get familiar with these terms, so let’s start there. People throw around phrases such as “invoice price” and “sticker price” all of the time. But do you really know what they mean? 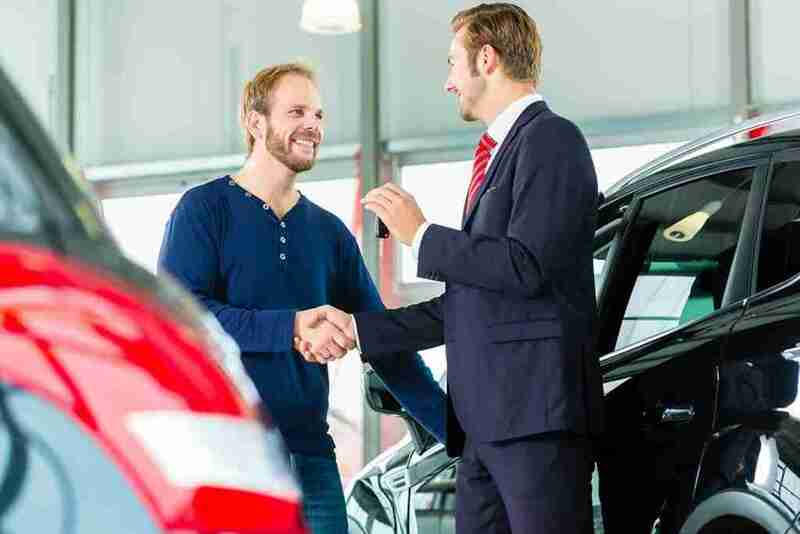 New car buying has a language of its own, and you will need to comprehend the nuances of the pricing terms if you would like to negotiate the best deal on a new car. Three major pricing terms are generally utilized in new-car purchasing: sticker price, invoice price, and True Market Value. Each word has its own distinct meaning and is best utilized in certain circumstances. Sticker Price: This is also referred to as the manufacturer’s suggested retail price or MSRP. It’s essentially the cost that a local car dealer would like you to pay for the vehicle. Invoice Price: This is about what the dealer paid the carmaker for the vehicle. True Market Value: TMV is the industry average of what others are paying for the identical car locally. As it is an average, some will pay more than this amount and others will pay less. In general, the TMV price will lie somewhere in between sticker and invoice cost. If the car has been heavily discounted, it’s not uncommon for TMV to fall below the invoice price. Similarly, if the car is in high demand and not being discounted, the TMV price can also be just like the sticker price. Sticker price is the most visible number on the car’s window sticker. It’s also the cost cited in the most newspaper and TV automobile commercials. New car dealers want you to pay this cost for the vehicle. And they frequently attempt to begin negotiations at sticker price. In actuality, once you’re on the car lot, the salesperson will direct all of your attention to this official-looking number that is prominently displayed on this official-looking document. The number has a certain authority that is intended to influence new car shoppers. The invoice price, on the other hand, is the invoices from the manufacturer to the dealer for every car. Since the dealer will need to pay that sum for the vehicle, anything over that is going to be their profit. Based upon the popularity of the vehicle, you can sometimes purchase a car at actual invoice price. Sometimes, you can pay below invoice for a car if there are incentives like customer cash rebates or dealer money. Dealer money is unadvertised cash the carmaker pays the dealership to allow it to help it move (sell) more automobiles. A dealer invoice is truly a challenging form for new car shoppers customers to read since it’s full of numbers and abbreviated terms that just automotive insiders understand. However, it does have valuable information as it lists not just what the dealer paid but also additional fees, like for advertising as well as other regional expenses. Here’s why the invoice price is just “about” what the dealer paid for the vehicle. It’s due to the holdback amount that many carmakers assign to a vehicle. The holdback is a proportion of the sticker price or invoice cost. This means that a new car dealer could sell a car at invoice price, tell YOU they aren’t making any money on the deal and still get a check from the manufacturer a month later for $500, for example. The dealer wants you to negotiate using the sticker price as the starting point. The greater the dealer starts negotiations, the more space he has to decrease the purchase price and still make a fantastic profit. Keep your eye on TMV as the point where you need to wind up. Be prepared to cover TMV — but try to pay less. The market is always changing and prices fluctuate rapidly. Therefore, it’s important to shop around for the best deal. As you shop, you will become an expert on automobile pricing in your area throughout the period of time you’re shopping for your car. When you understand the numbers behind the deal, it will make you a better negotiator. Car buying is one of the last bastions of freewheeling price negotiation. Nearly every facet of the purchase can be adjusted as you try to get the best new car deal and the dealer tries to get the most for their merchandise. Don’t hate the salesperson, manager, or finance manager for this; they are simply doing their job. The two largest factors in the procedure are knowledge and confusion. Your very best friend is knowledge and your local car dealer’s best friend is confusion. When you start to weigh in factors like rebates, financing incentives, your car’s trade-in worth, and various fees, the process can get rather intricate and confusing — particularly if you’re relying on the salesperson to guide you through the process. Fortunately, you’re already on the right path; that you’ve landed on this page means that you’re arming yourself with knowledge. 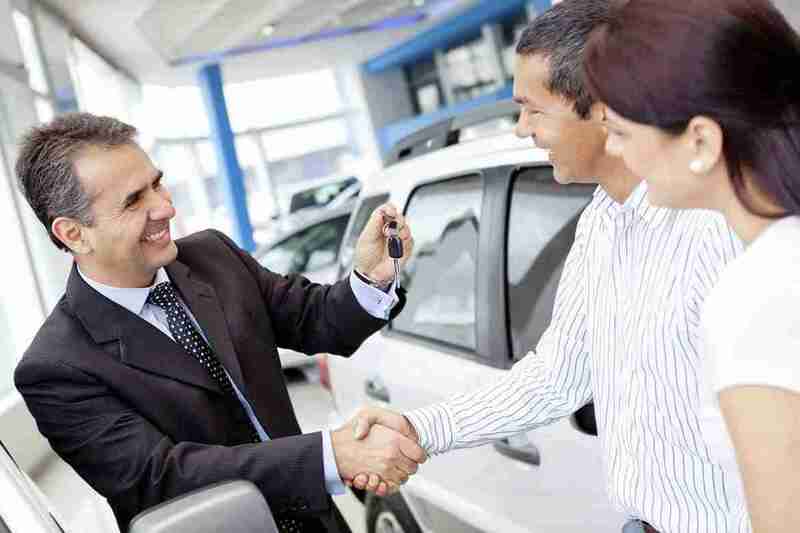 Follow these 5 tips to cut through the noise and negotiate the best price on a car. It has never been easier to get quotes from several dealerships, and you do not even have to drive across town. The best way to get online quotes is to use TrueCar to get the trueprice—the actual price you will pay at the dealership. You can also get online and use the quotation tools on manufacturer and dealer sites. The best thing about these quote programs is they give you precisely what you’re interested in: the cost of the car you want without confounding factors like the value of your trade-in or what you’ll do for financing. If you do choose to reach out to dealers on your own, don’t mention your trade-in, monthly payments, or funding choices. At this point, you are only considering the vehicle’s sales price. Make certain any quote includes all the fees and taxes involved in the transaction. You may (and probably should) have a maximum monthly payment which you are able to spend in mind, but it is not in your best interest to save by monthly payment. When you save by monthly payment, as opposed to the complete price of the car, you’re more prone to financing mechanisms that could have you paying more over the lifespan of the loan. For example, to decrease the payment, a car dealer might extend a car’s loan term, rather than dropping the price. Meaning that you not only pay more for your vehicle, a win for the dealer, but a massive loss for your pocketbook. There are financial calculator programs for smartphones. Install one so you can assess the dealership’s math. Car dealers don’t earn money just by selling automobiles. They make money selling funding. It is another moving part that complicates your negotiations. That is why it’s crucial to get preapproved for a loan in a bank or credit union before you talk to a dealership. When you have negotiated a price for your car, you can see if the dealership’s financing is any greater than your own, that you already have a lock on. Bringing up your trade-in too early in the negotiations process may complicate the procedure, and increase the confusion the dealer relishes. It allows a salesperson to draw your focus away from the sales cost by moving figures around. For example, a slightly higher sales price might not appear so bad if you believe you are getting a fantastic deal on your trade-in. You should already know what your car is worth, and staying with that amount through the negotiation process will provide a truer price on your new vehicle. There are a few things which you can’t negotiate. You are going to have to pay licensing and title fees, sales tax, and a destination fee, which is fixed by the manufacturer. There’s an increasing trend for the dealer to add a number of other fees, such as instruction, marketing, or dealer fees, which are open to discussion, although the dealer won’t want to. They’re the fixed overhead expenses, and their inclusion in your deal shouldn’t be considered a certainty. When you’re in the finance office signing the final paperwork, the fund manager is likely to provide you any number of add-ons, from a long warranty to paint protection or key insurance. Many of these items can be purchased from outside companies, including your lender, insurance agent, or independent shops. If you’re interested, make sure to do your research up front, so you’ve got an idea of what you should be paying. Leasing a new car is rather straightforward in theory, but the details are quite complex. What happens when you lease is that you negotiate the purchase price of the car with the dealer and then the dealer sells the car to the leasing company at that price. If you trade in your car every three or four years to get a new one, leasing makes a good deal of sense. Every time you get a new car that you don’t purchase it outright, you finance the depreciation. You don’t have to think about trading in your old car because at the end of the rental ( a lease is a rental) you merely return the car. On the other hand, if you plan to keep your car for a much longer period, buying makes more sense because obviously, it is less costly to buy one car and keep it for 10 years than it is to have the use of three new cars over that same time period. When you lease, what you need to negotiate is the price of the vehicle, NOT the monthly payment to get a deal on a new car! What happens is that when you finalize the lease, the dealer sells the car to the leasing company at the cost that you have agreed upon. (The price of the car is called the capitalized cost or”cap cost”). You negotiate the price of the car precisely the same way you would as if you’re purchasing it. Sadly, this is where it gets complex. The new car leasing formula usually contains the vehicle sales price, sales tax, title and registration, cash rebates, down payment, trade-in worth, lease financing rate, rental term, residual value, cash variable (the cash variable x 2400 = the interest rate), acquisition fee, disposition fee, purchase option fee, security deposit and other things. When you sign the car lease agreement it merely shows the monthly payment. It’s extraordinarily easy for the dealer to “make a mistake” in their own favor. So as to keep from becoming flimflammed, you really must be able to do the calculations yourself. You don’t need to rent through the dealership. It is possible to use an independent leasing company which will very often have lower fees and interest rates. LeaseCompare is a fantastic place to begin looking. Their website is set up to offer you estimates before you fill out any forms, which is a real benefit. They also have an active user forum and supply live telephone support. To wrap this up, knowledge is your friend, confusion is not, and you always have the choice to walk away if you’re uncomfortable. The car buying process can be daunting, but sticking with this plan should help simplify it, assisting you to find the best possible deal on a new car. Hi, I'm Frank Jones, the creator of "Build Your Own," a YouTube channel that builds, prices and options new vehicles. I love doing that so much that I built this website. You'll find new car builds from my channel here as well as car buying tips. If you don't see the new car you're researching, contact me and I'll be happy to do a video review! ©2018 - Build, Price, Option. All Right Reserved.